We are witnessing a major upheaval in the media landscape, as the Internet makes the print news model increasingly untenable. 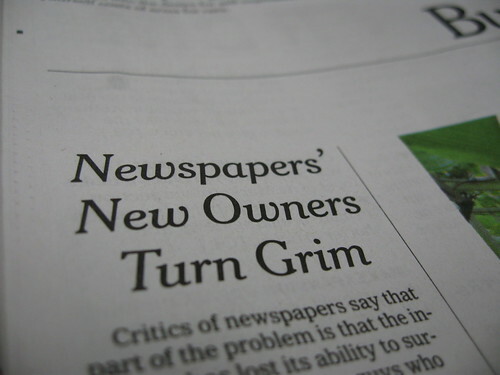 Printed news is expensive to produce, arrives so slowly that it can hardly be called “news” upon arrival, and is an absurd waste of trees and energy. And the original source here.